Amazing Loudspeaker Planar/Ribbon technology. Pair of Carver Amazing Silver Edition. Won't find a set in this great of condition. High End Bookshelf Speakers. Condition is Used. Shipped with USPS Parcel Select Ground. 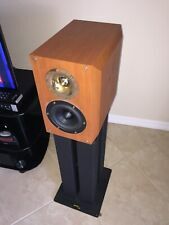 Very nice Atlantic Technology Model 373C center channel speaker, a THX certified classic. The photos speak for themselves. Like new sound great very clean. When completed, you have an excellent sounding speaker, not only can you feel the bass deep in your bones, but you can also feel it in your ears. The low frequencies were amazing, clean and crisp, not muddy or booming. Custom cut "Glue Block" bracing is applied to the full length of all internal joints and seams. Plus our multi-woofer and subwoofer cabinets employ shelf bracing between each woofer to further reduce vibration. Top of the line KEF XQ series tower speakers.Some cosmetic wear on side edges of both speaker but not noticeable at all when standing up .Please check the actual condition from the pictures.Both speakers sounds great and in perfect working condition.Very light use for the past 6 years.I paid almost 3000.00 for those when I bought it.Very heavy speakers,Local pickup only. I will include a von Schweikert LCR-30 Original box as pictured. EX condition WITH JUST A COUPLE SCUFFS MARKS AS PICTURED. Tested and work Great. (I do not want to lose it either.). Specification: XQ1. Drive Units: B160 Uni-Q (SP1485) [NT19 tweeter (SP1487)], NT19 Hypertweeter (SP1476). System type: Three-way, floor standing. Sensitivity: 89dB at 1m for 2.83V. Frequency response: 60Hz to 55kHz /-3.0dB. Tom was an enthusiast with a vision and Dave was a designer with an invention. Dave had previously worked with Speakerlab in Seattle Washington and helped design the Carver Amazing Loudspeaker. The Radia X-1 Center-channel speaker and Radia X3 mani/surround speakers both use a 3" ribbon tweeter and two aluminum-cone woofers. Woofer Surround Rubber. - black ash vinyl finish. Power Range 15-90. - keyhole slot and dual threaded inserts for optional wall mounting. Video Shielded Yes. - bass reflex (ported) design. Impedance (Ohms) 6. This is for a set of Dignity 4's or "The Impossible Speaker". These will work great with just a 20 watt amp, but work even better with a 100watt. So up to you with what you want to push these bad boys with. "U-volahas brought a new way of feeling the music and creating atmospheres. U-volaspeakers can easily fly in a house, in a cafe or showroom, in a car exhibition, in a TV studio -- without being invasive at all and with a perfect design symbiosis. (These speakers were only installed once in a Manhattan Estate for several years. They are in perfect working condition. - sound incredible!). HA and AK). We are an official dealer of Audio Physic and honorfull warranty on speakers and center. Both the Scorpio pair and the High End Center were on our sales floor as demo models and in great functioning condition. This fully flexible bracket system allows the CS1000 to be mounted vertically or horizontally and rotated either 90° or 170° respectively. The CS1000’s sound is amazing and lifelike. High-end sound no longer has to be confined to your living room. 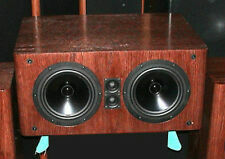 The Alumine 3 Way speakers you see here are state of the art speakers from Switzerland. In an all aluminum construction, the Alumine 3 Way is essentially the full range version of their award winning Alumine 2 monitor speakers where a separate bass module with an 8" proprietary woofer sits in its own cabinet under the Alumine 2 speaker. 5 out of 5 stars - PSB CS1000 Outdoor/Universal Speakers WHITE CS-1000 High-End Audio Outdoors! 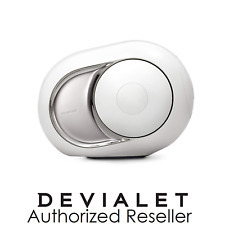 1 product rating1 product ratings - PSB CS1000 Outdoor/Universal Speakers WHITE CS-1000 High-End Audio Outdoors! The Excite X14A is an active high-end compact loudspeaker. This creates the ultimate compact audio system: An excellent active loudspeaker driven by a perfectly-matched power amplifier and based on the award-winning Excite X14 passive model. Speakers look, perform and sound amazing! RMS 300W, peak 600W. The compact design of High Definition Speaker is a high-end line vocal speaker series (DFS-912 & DFS-915). It can be easily pole-mounted or permanently installed onto wall, ceiling or under the balcony. Chario Silverette 100 High End Speakers Ex Demo Cherry. Silveretta line represents the natural evolution of the Reference series. Speakers those considered "basic level", surprising the quality of reproduced music. Regardless, i was not able to find much on the origins and provenance of this subwoofer but it does perform. it shakes the house. 115v / 230v input. For sale is a pair of high end UK made in wall in ceiling speakers. Picture on ad is from original owner. Like new condition. Sounds like floorstanding speakers. This is in great condition. The mounting plate is in nice condition with no cracks. This was in good working order when it was removed. Hi up for grab is a pair of flat speaker made by Onkyo from Japan. adjustable base so you can tilt your speaker vertically. great to act as a sound bar below the TV. Speaker it self is also in great condition, no cracking or drying. Attach the speaker's tempered, smoked glass base to place it on a shelf or tabletop, or use the included bracket to mount the VM10 on the wall. The bracket also doubles as a cradle, so you can set the VM10 on its side for use as a center channel speaker as well.